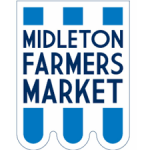 Inspired by Darina Allen of Ballymaloe Cookery School, Midleton Farmers’ Market is the original Farmers Market in Ireland which was established by local producers to provide an outlet for their produce.Located in the centre of Midleton near the roundabout. Stalls sell vegetables, herbs, breads, fish, meat, jams, sauces and other gourmet specialities. Every Saturday morning from 9.00 am to 1.00 pm.